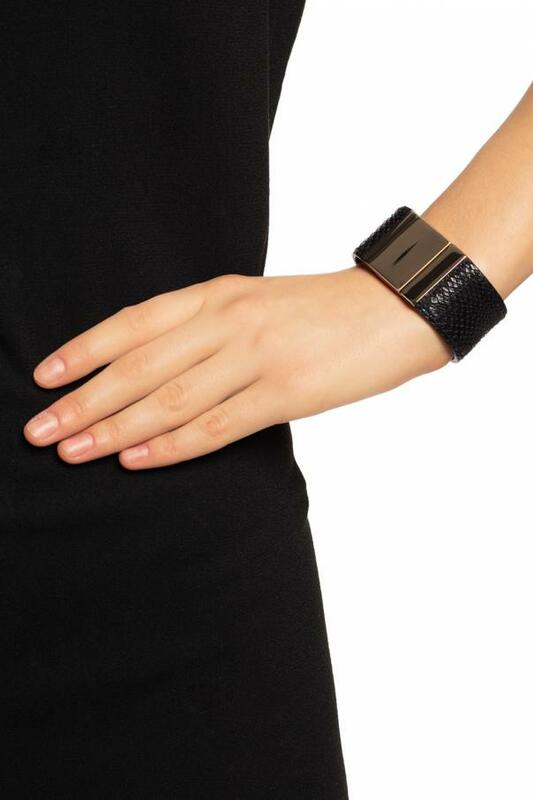 Black and gold-tone bracelet from Isabel Marant. Made of textured cow and calf leather. Magnetic snap fastening.